How does Objective Lens Size affect Shooting? →How does Objective Lens Size affect Shooting? 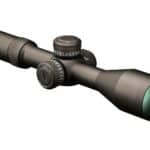 It’s time to buy a new hunting scope for your rifle. Maybe you’re having a hard time seeing at night, or just aren’t getting the magnification you want. So, you decide to look at rifles with larger lenses. Bigger is always better, right? Well, bigger may be better in some cases, but in the case of rifle scopes size gets a little tricky. When you’re looking for a scope, you’re likely going to see a lot of numbers that define the scope. For example; 3.5-10x50. The first two numbers in this series show the magnification and power of the lens. The last number is the size designation. For this particular scope, the objective lens would measure 50 mm. Click here for the lowest price on the Vortex Razor HD Gen II 4.5-27x56mm on Amazon! For the purposes of this discussion, any lenses measuring 50 mm and higher are going to be considered large objective lenses. Before we get started talking about whether or not the 50 mm objective lens is going to be good for you, we have to talk about your eyes. Your hunting optics are only as good as your eyes, unfortunately. What is an exit pupil? The exit pupil = scopes diameter mm ÷ the magnification level. Why does the exit pupil matter to you? The human eye uses the pupil to take in light. A perfect human eye will dilate from 2 mm all the way to 9 mm. Keep in mind this is a perfect human eye. The average middle-aged human eye will only dilate from about 4 mm to 8 mm. If the exit pupil of your scope is greater than the dilation of your human pupil, you will not see a clear picture. You could either see a blurred or dim picture depending on the difference in the exit pupil and your actual pupil. Why Choose a Large Objective Lens? One group of people who may find a large objective lens increases the quality of their hunting are people with visual impairments such as lazy eye or optical focus injuries. People who have difficulty focusing will find that a large optical lens will compensate for their bodies lack of focus ability. If you are choosing a large objective lens, keep in mind, it’s not all benefits. Here are some of the drawbacks that you can find when using a large objective lens. Another thing that you should consider when choosing a large objective lens is the size of the objective lens bell. The objective lens bell is the metal housing around your objective lens designed to protect it. This is often the piece of the scope that causes mounting interference. If you can find a large objective lens with a concave objective lens bell, it may make mounting a scope with a large objective lens easier. Is a larger objective size always better? Larger objective lenses are not always the best choice. They can cause your weapon to become heavy as well as compromise your shooting position and style. Often, they cause you to mount your scope farther up on your gun changing the entire balance of the weapon. Smaller scopes typically don’t have this problem. If you are not hunting in low light conditions or with extreme distances, you probably don’t need a large objective lens. In many daylight hunts and midrange hunts, a medium objective lens is going to be far more effective than a large objective lens. Another thing to keep in mind when choosing your scope is that glass quality matters. 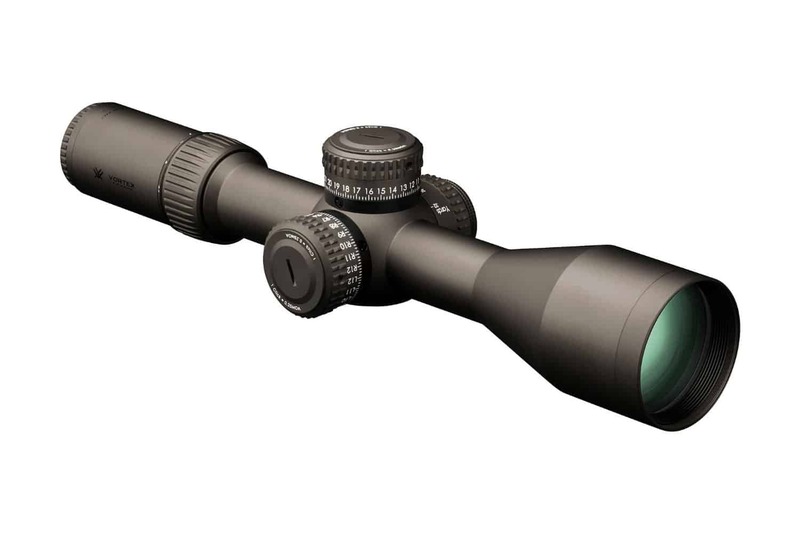 There are many manufacturers who produce superior scopes with a high-quality glass that can outperform larger scopes with poor quality glass. Many mediums scopes with superior glass coatings designed to minimize refraction will outperform large objective lens scopes. Your objective lens is one area where cost is going to be a direct determinant of performance. With the advancements of filters and coatings like polarization and anti-reflection coatings, your objective lens may just need higher quality glass instead of larger sizing. If you cannot find a scope with built-in polarization, many companies make polarization filters to fit onto your scope. You would be amazed how the quality of your sight improves with light filtration. In the end, choosing the right size objective lens comes down to your hunting style and your eyesight. If you have poor eyesight and choose to hunt in low light conditions a large objective lens is going to help compensate for your natural deficiencies. If your eyesight is fairly good, you rarely hunt in low light conditions, or you need good cheek and weld positioning; a large objective lens is going to hinder your performance while shooting. The biggest deciding factor for choosing a large objective lens may be weight. If you are a treck hunter who likes to hike in a few miles carrying a heavy scope in addition to other gear may not be an option. Also, holding a very heavy rifle may be impossible for smaller framed people, women and children. All of these things should be taken into consideration before purchasing a large objective lens scope. Monocular Vs Binoculars – Which Are Better?